Marcello Serpa is former Partner and Chief Creative Officer of Sao Paulo-based Almap DDBO. 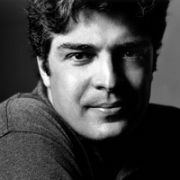 He is the most awarded art director in the 24-year history of the Annual of the Club de Criação; the most honored Brazilian at the Art Directors Club of New York, with Latin America's only two Gold Medals; winner of two Grand Prix at the New York Festival; Best Creative Professional at the Primio Cabore in 1993 and 1999; three-time winner of the Abril Advertising Prize; Professional of the Year for Rede Globo Awards in 1993; winner of Gold and Silver statues at the Clio Awards; winner of three Grand Prix at FIAP (Latin American Advertising Festival). He created two covers for Archive Magazine and is the only Brazilian art director to receive Gold at the One Show. In 1998, he was the first Brazilian to preside over the jury at the London Festival. In 2 consecutive years, he was named Best Creative Director in Latin America and Brazil at Latin Spots magazine's "El Ojo de Iberoamerica" Awards. Marcello Serpa studied visual and graphic arts in Germany, where he lived for 7 years, working at the GGK and R.G. Wiesmeir agencies. Back in Brazil, he worked at DPZ Rio, DPZ São Paulo and DM9. Throughout his career, Marcello has been noted as Brazil's most honoured art director, having won gold, silver and bronze medals in the principal Brazilian and international advertising festivals. At the Cannes Festival, in 1993, he won Latin America's first Grand Prix and 31 Lions during the last 6 years. Marcello lives with his wife in Oahu, Hawaii, where he surfs and paints in his beachfront house.